Being drunk is like being a child. You don’t remember anything but everyone around you does. Before technology people couldn’t find out what they did when they were drunk, but now, everything gets put up on the internet for the whole world to see. So, today let’s see some hilarious people who are drunk out of their minds. 2 When bush scream comfort to you, that mean you're drunk! 3 Drunk version of snow angel! 6 If Carrot Top and a clown had a baby, it would be this guy. 7 Mickey Mouse gone wild. 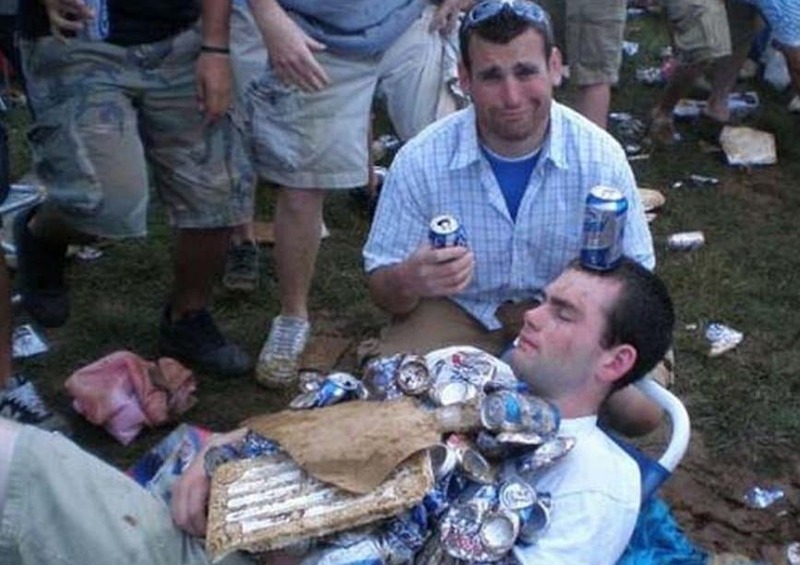 9 That's why you should never fall asleep at a party, specially when you're drunk! 10 Yet another Drunk Black Marker Face with bad friends. 11 "Boyfriend was drunk last night. I woke up to this...."
12 This drunk woman dropped her phone. She picked up her sandal instead and used her phone as the sandal. 13 My roomates friend (whom i dont know) came over and got drunk,,,this is what i walked into. 14 Drunk human garbage can! 15 When your body's centre of gravity shifts to head, then you're drunk!